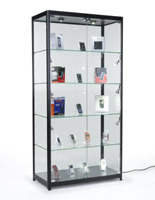 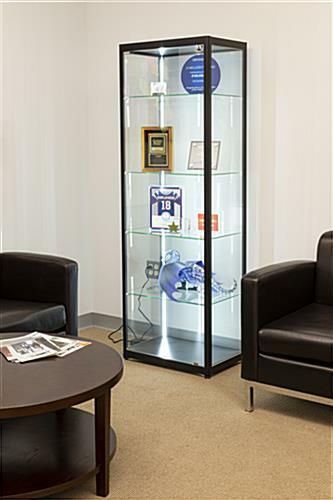 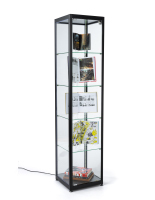 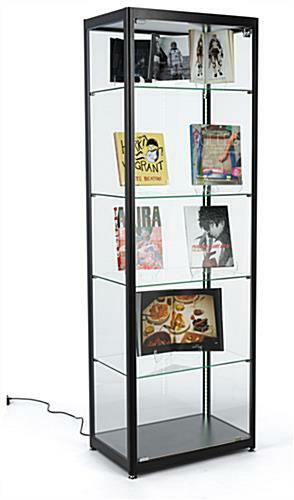 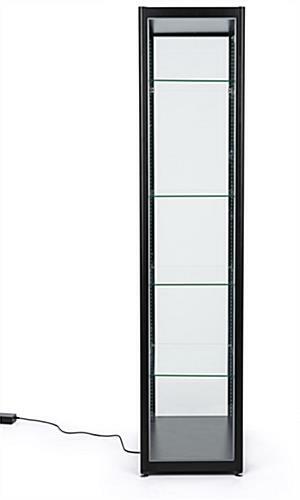 Use this black glass curio display cabinet as a trophy case for your professional accomplishments or to store and show off high-end merchandise in contemporary style. 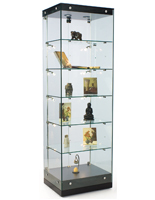 The adjustable shelves allow for fine tuning to find just the right height for your valuables. 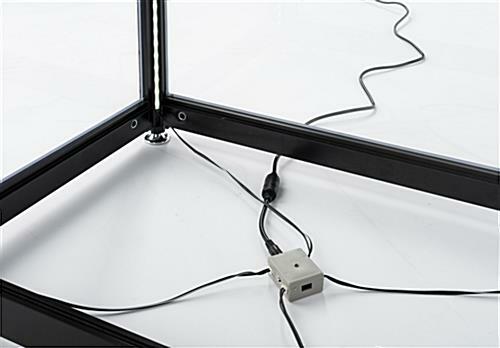 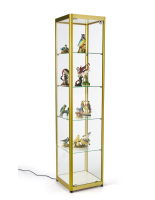 LED strips are set into the corners of this aluminum and glass curio display cabinet and illuminate the delicate details of anything stored within. 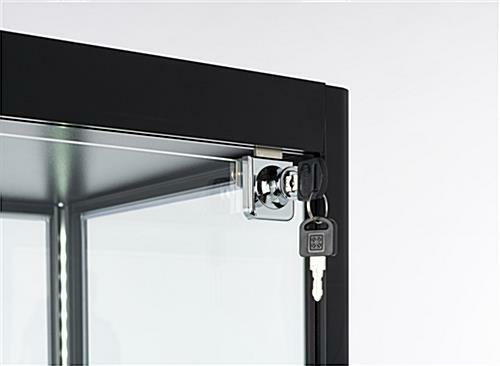 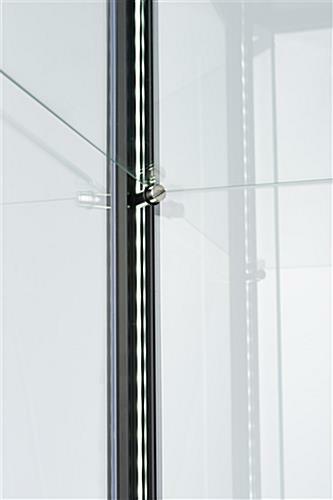 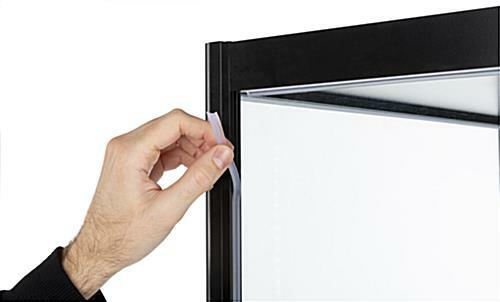 A lock on the front helps to keep valuables safe, while still allowing quick access. 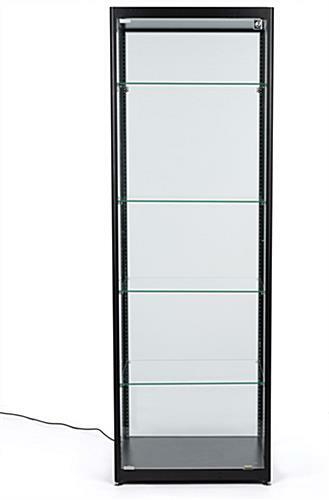 The case arrives unassembled to help lower shipping costs. 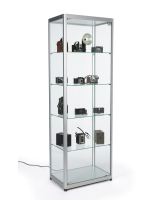 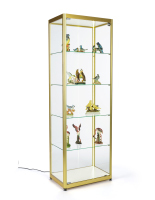 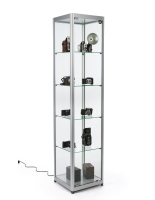 Pick up this curio display cabinet to showcase your personal collection or store merchandise today! 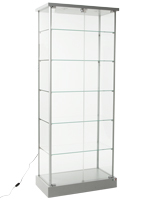 23.5" x 70.5" x 15.5"